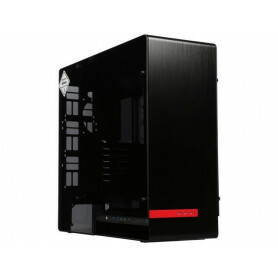 In Win 909 full tower chassis , black black interior - with dual 5mm tempered glass side panels , with white logo display. Amd socket SP3 Epyc 7501 - 32 cores / 64 threads ( 2.0Ghz / 3.0Ghz turbo core ) , for single or dual socket. Amd socket SP3 Epyc 7601 - 32 cores / 64 threads ( 2.2Ghz / 3.2Ghz turbo core ) , for single or dual socket ; 3mb L1 + 16mb L2 + 64mb L3 cache.